It has been a busy week at SAP Sapphire, the conference is staged in association with the independent ASUG (Americas SAP User Group). 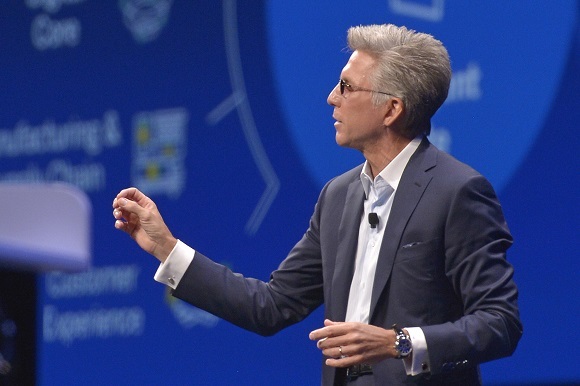 Along with partner news, there were core platform shifts (news relating to the CRM focused SAP C/4HANA customer relationship management product) and a number of other product enhancements and introductions. The company also renamed and increased its number of so-called ‘industry accelerators’ that are accessible via the SAP Leonardo ‘design thinking’ brand – these are packaged kits of software templating accessible and best practice designed to help enterprises create new deployments more quickly and with fewer bugs. SAP has changed the accelerator name to industry innovation kit. “As of now, SAP Leonardo offers 23 industry innovation kits that span more than 12 industry areas, including consumer products, life sciences, manufacturing, automotive, utilities, oil & gas, plus sports & entertainment,” noted SAP, in a product statement. Also notable among the product news was work in conversational artificial intelligence (AI), blockchain and analytics. Now a formalised product, SAP Conversational AI is the firm’s chatbot toolkit for training, building and monitoring chatbots. These chatbots can be integrated with SAP and non-SAP systems and are available as preconfigured industry-specific bots. The company also brought forward new machine learning elements to exist inside SAP Leonardo and launched a formal machine learning foundation (not a charitable foundation, this use of the term by tech vendors always refers to a lower level application substrate upon which other elements of software can ultimately be constructed. The SAP Leonardo Machine Learning Foundation allows developers to build individual applications and has five new services, including object detection, text recognition in images and text classification, which analyses and automatically categorises text documents. We wouldn’t expect any major vendor to update their product set without including blockchain. SAP Cloud Platform Blockchain is a new blockchain-as-a-service. “About 65 companies participate in the SAP blockchain co-innovation initiative to help customers use manufacturing and supply-chain products augmented by blockchain to enhance transparency, safety and collaboration in industries such as transportation, food, and pharmaceuticals,” noted SAP, in a press statement. SAP has also pushed its multi-cloud strategy with the general availability of SAP Cloud Platform on Google Cloud Platform and Microsoft Azure. With these additions, along with Amazon Web Services (AWS), SAP says that its Cloud Platform is now available on all major hyperscale cloud infrastructure providers. SAP also intends to release SAP Cloud Platform, private edition, on IBM Cloud as a private cloud deployment. This will be targeted at clients in regulated industries such as banking, healthcare and transportation, as well as those managing sensitive data. SAP is also releasing the SAP Cloud Platform software development kit (SDK) for Android. It allows customers to access sophisticated workflows through any Android or Chrome OS device, bringing a familiar, easy-to-use mobile experience across iOS and Android apps. Our key takeaway here should be logical enough i.e. what a lot of products there are here, how on Earth does SAP bring all these together in its ‘stack’ and make sure they all work together and don’t get slowed down (or worse still, seriously bugged) from streams of redundant code and disconnected dependencies? The answer is, it’s hard and there is still work to do. Comments made by SAP co-founder and chairman of the supervisory board Dr Hasso Plattner in an informal press breakout session suggest what might actually be going on. There’s a lot happening, we will continue to attempt to deconstruct the mechanics of the SAP platform with the interests of software developers at the fore.